It’s not hard to find a decent spot from the Citizens Bank Park seating chart. More than most teams, the Phillies price their seats about right, given the distance from home plate and acrophobic concerns. Here are three seating suggestions for varying budgets courtesy of Ballpark E-Guides. 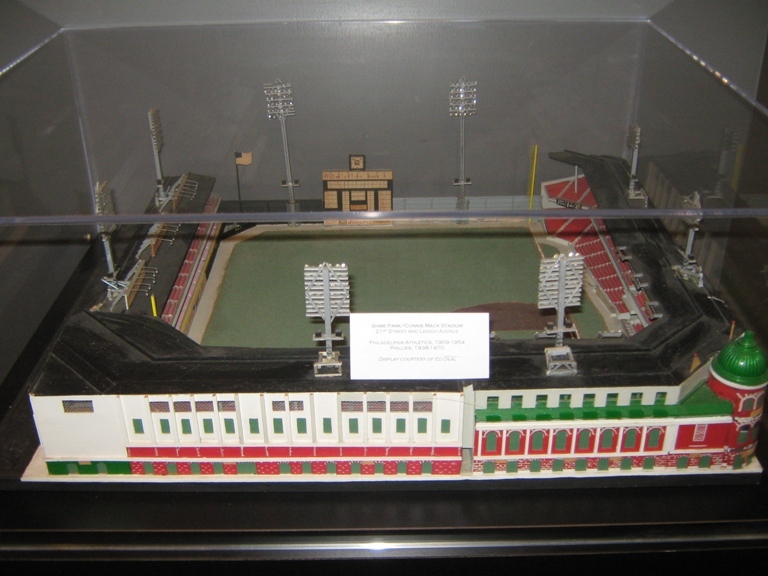 I won’t say this model of Connie Mack Stadium is worth the Hall of Fame Club ticket price, but it is pretty cool. Climate-controlled areas are also great for those chilly April (or March) evenings in Philadelphia. It can get cold here. The many levels of Citizens Bank Park, and yes those high seats are really high. Citizens Bank Park Seating, Tip #2) Baseline Seats. I recommend staying low at Citizens Bank Park, and the Baseline seats in the corners especially are a pretty nice deal. If you score tickets in Sections 111 or 136, you’ll save a few bucks over the folks one section over. I prefer the first base side for its straight ahead view of the left field Big Board, but on hot summer nights the sun will be bearing down on you the first couple of innings, so keep that in mind. Bring sunglasses. The seats may be high up, but there is a pretty boffo view of Philly from upstairs. 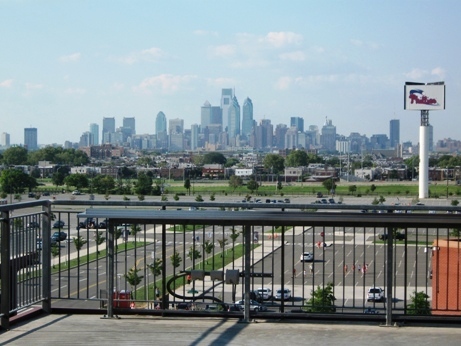 Citizens Bank Park Seating, Tip #3) The Terrace Deck. For small budgets, your best bet is in the upper deck Terrace, in sections 419-422 if you can since they face the field directly behind home plate. There are lower seats at a lower price, but they are very far from the action. These seats are very high up, with the suites, club level and open concourses pushing everything higher. The angle is good so the view isn’t bad, but be wary if you’re acrophobic…also, you need to ascend quite a few steps to get to these, so keep that in mind if anyone in your group has mobility issues. 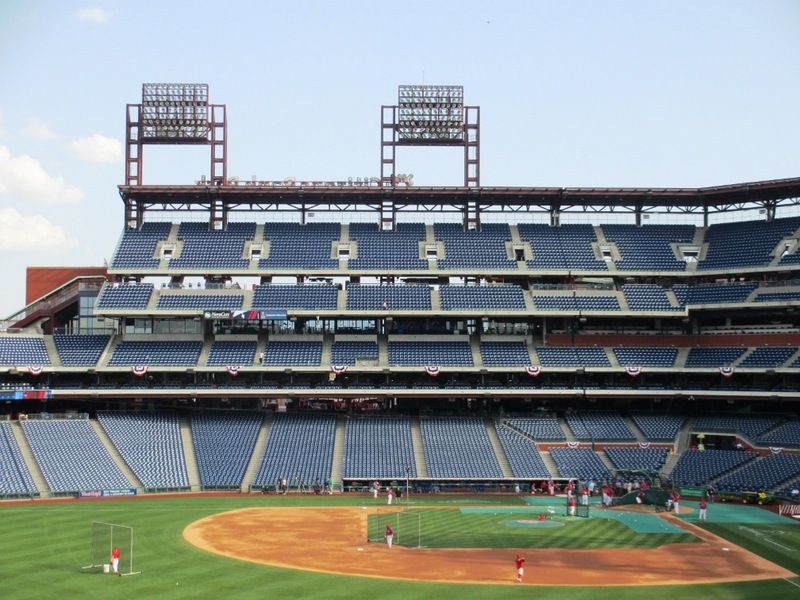 Want to know more about Citizens Bank Park? 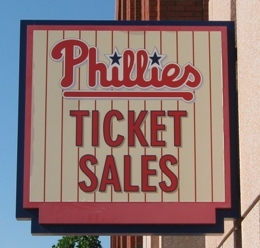 Sign up here for my completely free Citizens Bank Park e-mail newsletter series, and score some seriously valuable info about tickets, seating, transportation and food…see you at the Yard! Can You Bring Food Into Citizens Bank Park? Enjoying the cool Phillies game tips? Sign up today for the absolutely free Ballpark E-Guides Citizens Bank Park newsletter!